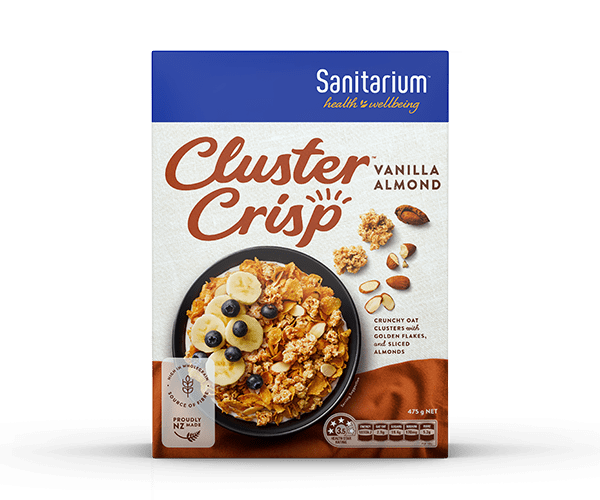 Enjoy your moment and savour the taste of Cluster Crisp Vanilla Almond from Sanitarium New Zealand. A delicious blend of golden oat clusters with a hint of vanilla, sliced almonds and crispy cornflakes. Also available in a larger 700g sized pack so you can enjoy this favourite for longer!